Butterfly Labs had just unveiled their latest addition to their line of specialized Bitcoin mining computers: the Bitforce SC Single. 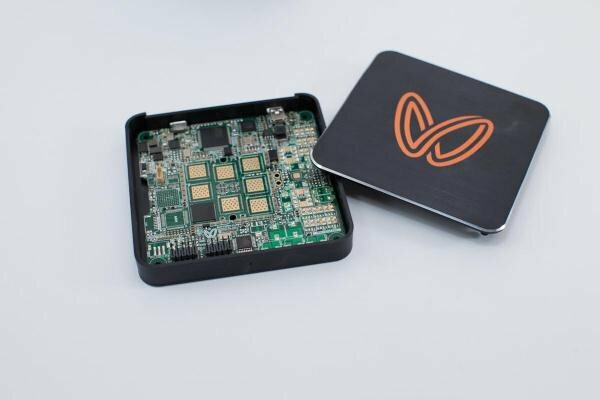 Butterfly Labs already provides some of the most powerful and economical Bitcoin mining hardware available – its currently most popular SHA256 Single product provides a mining hashpower of 832 megahashes per second ($3 per day under current network and market conditions) for a mere $599, or $719 per GHps, a higher ratio than any other FPGA on the Bitcoin wiki’s mining hardware comparison list. Its electrical efficiency is not unmatched, but nevertheless impressive, managing 10 megahashes per joule (the ZTEX USB-FPGA module beats is with 22), but the difference is not a great one; at 10 cents per kilowatt hour electricity costs consume about 6.5% of SHA256 Single’s revenue. The SC Single, however, will put even these figures to shame; when it comes out in October it will provide a staggering 40 gigahashes per second for $1299 ($32 per GHps), paying for itself in eight days if the rest of the network were to remain constant. The technology that Butterfly Labs is using to attain such a high hashrate is known as application-specific integrated circuits, or ASIC. In simplest terms, ASIC is simply the next step along the progression toward more and more specialized hardware for Bitcoin mining. The first miners ran on ordinary computers and relied on the computer’s central processing units, or CPUs, general-purpose hardware which runs all of the software applications that we use every day. Then came graphics processing unit, or GPU, miners, still using ordinary computers, although now only a subset of them, but relying on specialized hardware chips designed to make very similar computations millions of times very quickly by doing them in parallel – a function originally intended for applications such as playing movies and making the vector computations needed to run modern 3D games, but just as usable for the repeated hashing proof of work process employed in the Bitcoin mining protocol. Next came field-programmable gate arrays, or FPGAs, which are essentially arrays of basic components called logic blocks the interconnections between which can be programmed by the user to efficiently perform a specific function. The next step, application-specific integrated circuits, are the highest level of specialization: chips that are manufactured specifically to serve one function and one function only. Within ASICs, there are further gradations of specialization: an intermediate stage called structured ASICs, which benefit from standardized manufacturing like FPGAs but are “programmed” by the manufacturer using masks, and full custom ASICs, which use a layout built specifically for the task down to each individual transistor. The reason why Butterfly is able to so vastly outstep its present competition is that Bitcoin mining is currently at the FPGA stage, but Butterfly managed to skip structured ASIC entirely and create a solution that is built using the full custom approach. Of course, Butterfly Labs’ current monopoly on this new type of hardware will not last long, and in time more and more miners will begin to use ASIC technology to increase their mining output. The result will be a massive increase in the Bitcoin network’s hash power, as a single unit of Butterfly’s SC Mini Rig, the most powerful computer that will appear in the SC line, will be able to match the current hashpower of 8% of the Bitcoin network, exceeding all but the largest three mining pools, for a mere $30000, as well as a continuation of the present shift in the breakdown of Bitcoin mining costs away from electricity and toward capital expenditure. The SC Single’s release also represents a milestone for Bitpay. The leading Bitcoin payment processor had been experiencing rapid growth since March, increasing its monthly volume from $11,000 in March to $40,000 in April and $170,000 in May, quadrupling every month, and the release has brought Bitpay yet another record: over $250,000 processed in a single day. Orders came in from 17 different countries, including Belgium, Russia, Finland, Poland and the Philippines. Bitpay CEO Anthony Gallippi is certain that the fundamentals behind his business will ensure its continued growth. In a press release announcing the new daily record he states: “Our payment service is unique in the marketplace. Using BitPay, an internet merchant can accept a payment from any country on the planet, instantly, with zero risk of fraud. No other payment processor can do this. American Express cannot do this, PayPal cannot do this, Mastercard cannot do this. BitPay can.” Bitpay has the disadvantage over plain Bitcoin transactions that it takes a 0.99% fee for every transaction, but it distinguishes itself with its ease of use as well as the possibility of automatic conversion and deposits into the merchant’s bank account, including insurance against sudden fluctuations in the Bitcoin price. Gallippi is currently advertising his service to credit card and Paypal using merchants and consumers maligned by chargeback fraud and identity theft, stating in a venture capital pitch last month that identity theft claims over 10 million victims per year. 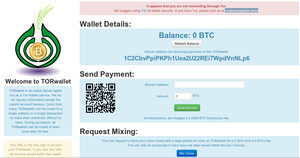 Although Bitpay is far ahead of its competition in market share for now, that may later change; MtGox has recently come up with a checkout system of their own which is “completely free” and very easy to use; all it takes is creating a standard MtGox account, pasting the HTML code for the checkout button onto your webpage, and editing your server-side code to handle the POST request that the button sends whenever a payment is successfully made. It remains to be seen how much market share MtGox will be able to capture with this alternative.